Viz Media, primarily known for its prominent work in the anime and manga spaces, recently announced its foray into the gaming world. 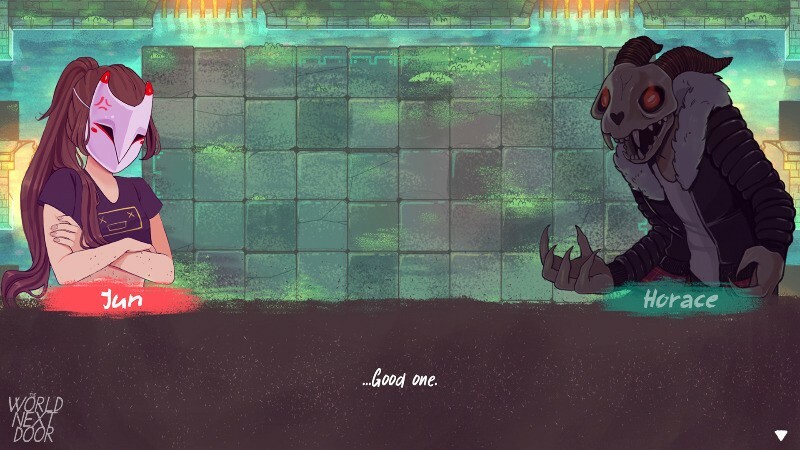 Its partnership with Rose City Games begins with a supernatural narrative action-puzzler called The World Next Door. 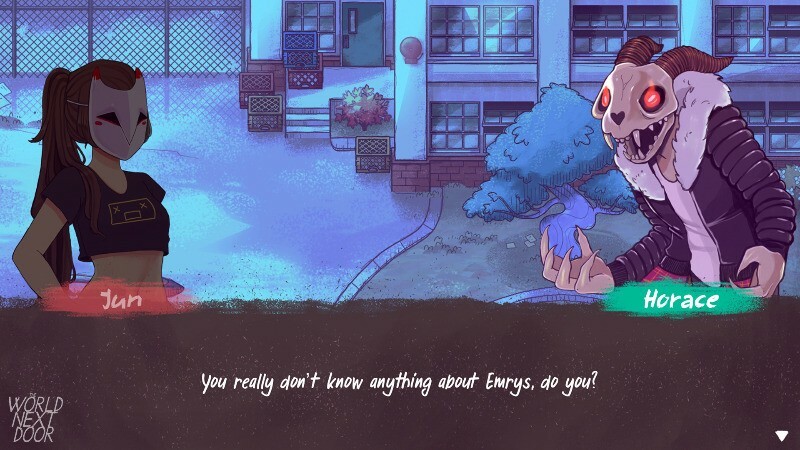 You play as Jun, a teen girl in a parallel world that houses magical creatures. After visiting the realm, she becomes trapped when a plan backfires. The group of characters from that realm reveal to her that humans cannot survive longer than a few days in that realm, and the quest to find a way out begins. The segment I played had me interacting with a colorful cast of demons and other creatures who live in this parallel world. As I ready for battle, I interact with them through choice-driven, often humorous dialogue. From choosing how to react to bad news or a new challenge, to deciding whether I should accept a beer from one of these creatures, how I react affects my relationships with these characters. 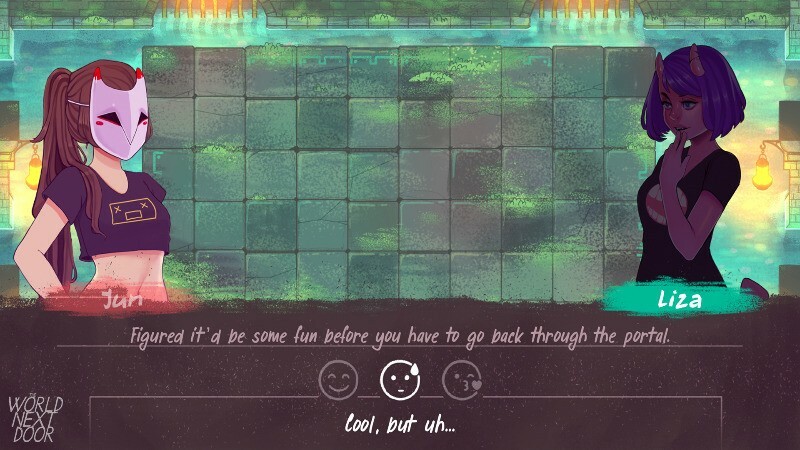 These bonds can have effects within the combat gameplay, which mashes up real-time action with a match-three puzzle game. The arena is littered with different colored tiles. As you move Jun around, you press a button to bind with the tile. Once bound, you can swap that tile with any other tile on the board with a press of a button. Once three or more of the same tile are connected, you can press a button to activate their power. 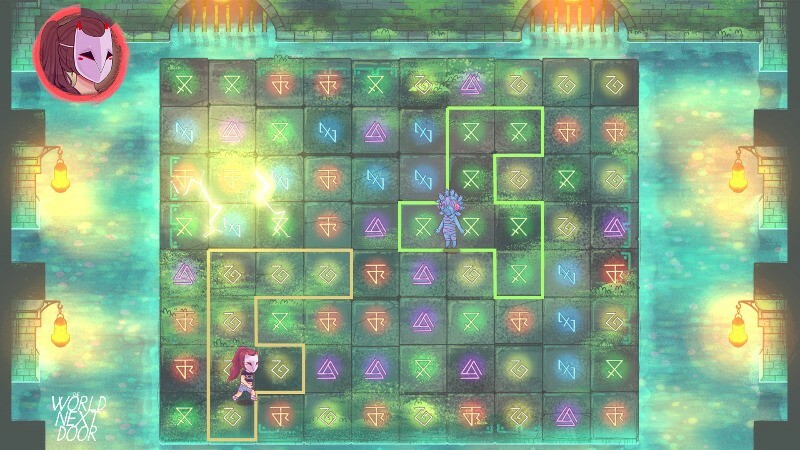 Each color tile delivers different attacks; the yellow tiles send a stunning shock that hits every nearby character, green set up a healing effect, purple casts a void area-of-effect spell, and red blasts fireballs. The more tiles are matched up upon activation, the stronger the spell. 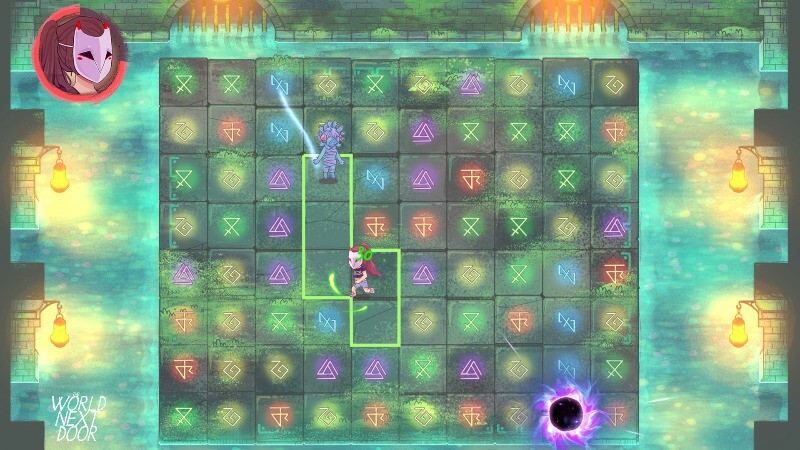 In addition, since the characters are running around on the board, you have to be strategic with when you activate these spells; the attacks are easily dodged by a skilled player or A.I. If you have a strong relationship with a character in your party, that character may assist you in some way during battle. I didn't see that mechanic in action, but I like how your narrative choices can influence the combat mechanics. I enjoyed my time with The World Next Door. It seems to capture the anime spirit that Viz is so synonymous with, while combining distinct genres in unique ways. 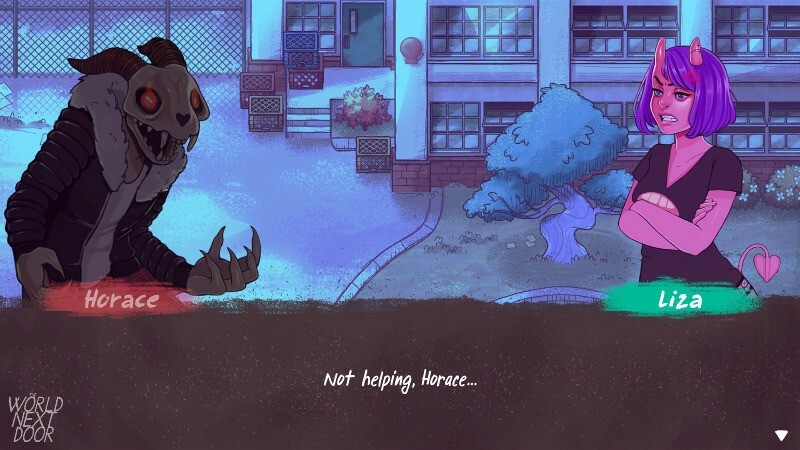 I'm excited to learn more about The World Next Door, as my short hands-on demo was hardly enough to fully understand the scope of what this game is trying to accomplish. The title is currently set to launch on PC with an unspecified release window.